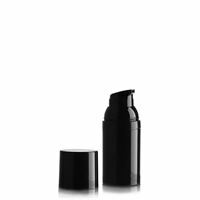 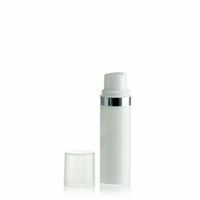 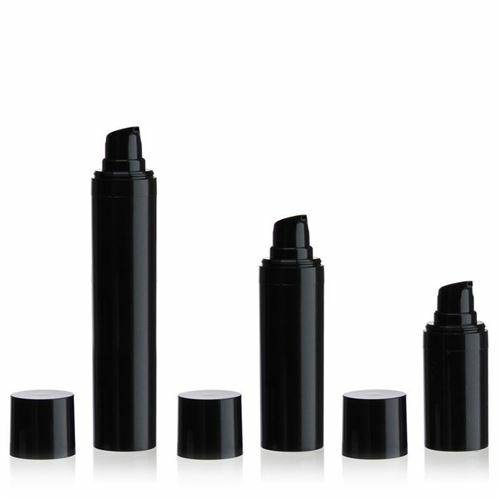 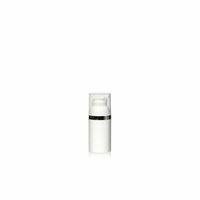 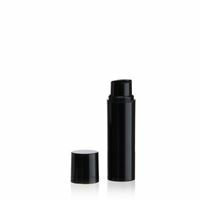 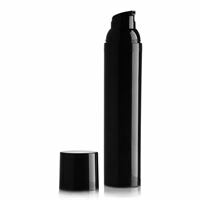 15ml Airless Dispenser MICRO "Beautiful Black"
15ml PP Airless Dispenser MICRO "Beautiful Black"
Black plastic container with airless dispenser nozzle, for the precise application of cosmetics and hair care creams, lotions and serums. Airless dispensers do not have an internal dip tube. 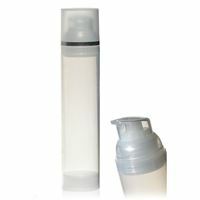 They are ideal for oxygen sensitive products, due to their being no air backflow into the container when dispensing. 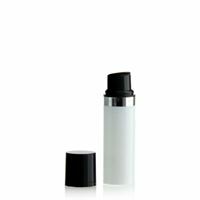 Available in many other sizes and colors. 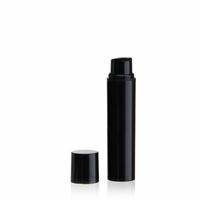 100ml Airless Dispenser "Beautiful Black"
100ml Airless Dispenser "Silver Line"
10ml Airless Dispenser NANO "Beautiful Black"
10ml Airless Dispenser NANO "Noblesse"
15ml Airless Dispenser NANO "Beautiful Black"
30ml Airless Dispenser "Beautiful Black"